Chicago Boyz » Blog Archive » What is the best book you read in 2010? What is the best book you read in 2010? We are a bookish bunch around here, and I always like to hear what other people are reading and liking. So, as 2010 ticks away to its conclusion, I open the floor to answers to this question. I note that it does not have to be something published this year, just the best book you read this year, no matter how old it is. I would rather have you say a few words about the best one, hard as it may be to pick, than just list a bunch of good ones. Discipline, my dears: Choose. Just. One. Then, say why it was so good. The Story of a Soldier’s Life (1903), by Field Marshal The Rt. Hon. 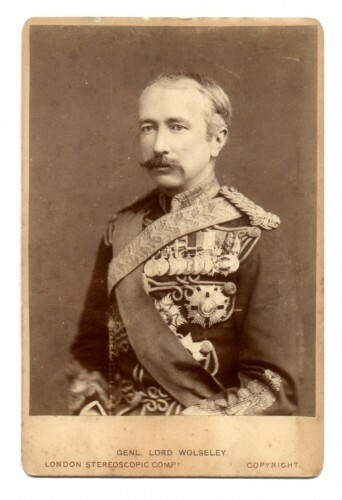 Sir Garnet Joseph Wolseley, 1st Viscount Wolseley, KP, GCB, OM, GCMG, VD, PC. Wolseley was the most distinguished British soldier in the later decades of Victoria’s reign. He is a clear, vigorous, honest writer. He is an acute observer, and he makes strong and blunt judgments. He describes the effect of wounds with clinical accuracy. His career beggars belief. In the book he describes fighting against bandits in Burmah, the long hard fight in the Crimea, a shipwreck on the way to China, turned around to fight in India during the Sepoy Rebellion, on to China during the Second Opium War and the destruction of the Summer Palace, observing the Tai Ping army, over to North America to observe the Confederate Army and meet General Lee, up into Canada, through pristine wilderness, to put down Riel’s rebellion, some time at the War Office, then organizing and leading the campaign against one of the many “races of virile savages” on the edges of British power, the Ashantee. Wolseley never got to a volume three, which would have included helping to finish off the Zulus and conquering the Sudan. There are books it is hard to put down. This one was so exciting that I could barely remain seated while I read it. To read it is to live for a while in a very different world, with a hard-edged moral code, with a man who speaks English very clearly, but who thinks and says things that we would not think or say today. The idea that “racism” is a unitary phenomenon is seriously wrong. To select a paired set of example. Hitler was a racist. So, in a way, was Garnet Wolseley, a Victorian officer whose memoirs I recently read. But they were “racist” in totally different ways. Hitler was an ideological fanatic, impervious to evidence, hating a “Jew” that mostly existed in his imagination. Wolseley was an extremely practical man who had limited resources with which to conquer and hold vast territories and populations under the potitical control of his government. Hitler made up a fantasy world based on racial myths. Wolseley observed that certain groups had certain characteristics, as a general matter, and he took those facts into account just like terrain, weather, and weaponry and other practical considerations. He did not have the luxury of living in a make-believe world where everyone was exactly the same, or where one group was generically superior. Hitler told himself a self-congratulatory and flattering story about his own group, which led him to make incredibly impractical decisions. Wolseley looked just as hard at his own group, the English, and saw its strengths and weaknesses. He admired and extolled the former, but admitted and tried to work around the latter. He treated these facts about his own people with the same cold practicality that he treated all practical questions. To celebrate “culture” when it suits us or pleases us or flatters us, but to deny its reality and force when it does not, is ultimately dishonest. We need to understand people in the past as they understood themselves, not merely as chess pieces in our current struggles. Another example is his belief in the moral value of war, as a strengthener and purifier of the nation. Yet another is his unabashed belief that force can and should be used for national greatness and prestige, without any further moral considerations. These are ideas that virtually no one in America or Britain would expound today, certainly not someone who is one of the most influential figures in the government and in the public eye. Wolseley did not live to see World War I, and the catastrophic losses it caused, and the great disillusionment that followed it. He did expect some great national struggle, perhaps against the Germans, perhaps the Americans, and he expected it to be very hard fought. To spend several hours in the company of this forthright, unsentimenatal Victorian officer is to understand those times in a way that no amount of third-person history can possibly convey. That is the great value of going back to these memoirs. This entry was posted on Thursday, December 30th, 2010 at 9:11 pm	and is filed under Anglosphere, Book Notes, Military Affairs. You can follow any responses to this entry through the RSS 2.0 feed. Both comments and pings are currently closed. Charles Hill’s Grand Strategies, Literature, Statecraft, and World Order was probably the best—but 2010 was a very good year. Robert Coram’s BRUTE was also a very close second. Democracy In America – Tocquevillle (The translation by Arthur Goldhammer is superb). Truth rings like a crystal in the clarity and precision of his observations. I would have trouble choosing between the first three volumes of the biography of Marshall and Between Silk and Cyanide, both recommended here. Another excellent book was Diabetes Rising, another excellent book written for non-medical people but containing a lot of new information. I bought it for my diabetic son but thoroughly enjoyed it myself. The past year, I have been working my way through the novels of Neville Shute, those I hadn’t previously read. I know that’s too many but I have trouble choosing. If pressed, I would pick the Machiavellian Enterprise … or Robert Lacey’s Inside The Kingdom. Azar Gat’s War in Human Civilization blew me away. All interested in ‘big’ history or the relation between war and society need to read it. I also slogged my way through the 3-volume 1960 translation of Ibn Khaldun’s Muqaddimah I found at the local library. That kind of reading is not for everyone, but it was probably the most worthwhile read of the year. Just finished Matterhorn — A Novel of the Vietnam War, by Karl Marlantes. Now everyone can have a tour of duty as a Marine grunt in Quang Tri Province in 1969, with all that entails. Jungle rot, leeches, incompetent leaders, thirst in a monsoon, man-eating tigers, death everywhere; and all that’s just for starters. Bravo company is ordered by a drunken colonel to build bunkers on a hill called Matterhorn even though it makes no sense; then they are ordered to abandon the bunkers; then the NVA takes them over, digs in and stages artillery attacks; so Bravo company is ordered to re-take Matterhorn only to be ordered to abandon it again. The battle to reclaim Matterhorn is grim. Food and water, ammo and medical supplies can’t get to Bravo company because the weather is socked in and choppers can’t fly. At one point each member of Bravo company is dying of thirst in a monsoon and is down to his last two 30-round M16 magazines. Three short bursts on full auto will empty them. They must hold their fire and engage the gooks in close quarters combat if they are to survive. Finally, a first lieutenant back at VCB (combat base) defies orders, persuades chopper pilots to risk their lives and machinery to save Bravo Company. It’s such a fine heroic moment any reader with a heart will hear the Marine Corps anthem playing in his head. The ending marks this book in the genre of deep tragedy. Embark on this journey through 566 pages only if you are sure you are up to it. The Discovery of Insulin: 25th Anniversary Edition by Michael Bliss. Diabetes was once rare but those who had it suffered mightily and died young before insulin was available to them. Many who were near death suddenly got a new lease on life and lived to old age. Shmuel Katz’s Lone Wolf, a two-volume biography of my hero Vladimir (Ze’ev) Jabotinsky. Cancer Ward, by Aleksandr Solzhenitsyn. I first read it when perhaps 15, and it made an impact. Rereading it now after the fall of the Soviet Union, as a 50 year old oncologist made it meaningful on a variety of levels unavailable to me upon the first reading. It’s account of the lands between Germany and the USSR from the 20’s to the 40’s is devastating. Ironically, it helped me be more cheerful, for it reminded my that I have very good fortune.